It is time, time to explore the Catacombs Of The Black Vatican! 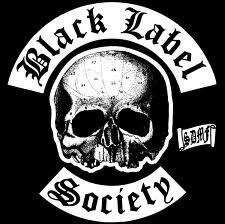 We have been waiting for new material from BLS since Order Of The Black in 2010. Now in April of 2014 we will be led into the Catacombs Of The Black Vatican! See you there! This entry was posted in Artist, Bassists, Classic Metal, Classic Rock, Drummer, Guitarists, Heavy metal, Internet Radio, Metal, Music, Rock, Rock N' Roll, RockStar, Surrealist, Tattoos, Vocalist, Whiskey Metal, Wornstar Clothing and tagged Black Label Society, Bleach Bang, Bleach Bangs, Bleach Bangs Radio, BLS, Catacombs Of The Black Vatican, Chad Szeliga, Charlie Owens, Classic Rock, Dario Lorina, Hard Rock, Heavy Metal, John "JD" DeServio, Metal, Music, Randy Norris, Rock, Rock N' Roll, Rock Star, RockStar, the Hellion, the Hellion Rocks, Zakk Wylde. Bookmark the permalink. ← SIGHT OF EMPTINESS Announce Official Release Date For ‘Instincts’!